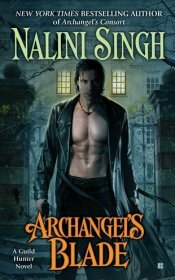 Nalini Singh's Angel's Blood was a favorite read of mine in 2009, and I had waited with much anticipation to see how the series would continue. Often the second book of a new series is a bit of a letdown, as it either focuses too heavily on the world building that didn't occur in the first book or too heavily on character development that wasn't satisfactorily explored in the first book. 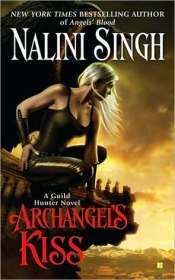 Singh's second in the Guild Hunter series didn't fall into either of those traps. 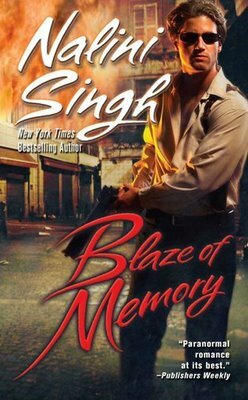 In fact, Singh writes delightfully against the norm here, giving us a familiar albeit alternative world that isn't thoroughly fleshed out (yet) in either book, instead allowing the reader to glean a satisfactory amount of information in bits and pieces (about the world and the characters both) without hitting them over the head with excessive exposition. Ultimately, this method lets the reader keep the story as the focal point at all times. That being said, it seems from this reader's perspective that while there are a lot of unanswered questions about the world of angels, vamps, and hunter born, Singh herself has a very clear and fantastically detailed awareness of the world in which her characters live. 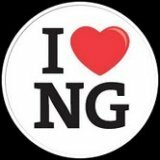 Simply put, she writes not as if she's developing the world as she goes, but as if she is in iron-clad command of it. I hadn't realized until I was reading this book just how rare that is, in much the same way you don't always realize how thirsty you are until you start drinking. There is a complexity of mythos and plot here that, were Singh not the artisan she so clearly is, could easily get away from an author, yet the story never overwhelms the reader, and the characters - flawed and damaged, and a little scary (or a lot) - battle not only their situation, but the surprisingly human pitfalls of avarice, vanity, power, and independence. I hesitate to call Archangel's Kiss a literary masterpiece, but there is more than a mere glimpse of brilliance in this intelligent and powerful book filled with intelligent and powerful characters. 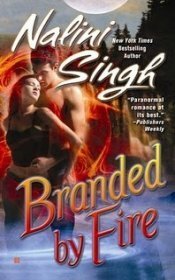 With a deft and at turns fanciful and realistic hand, Singh pens Elena's and Raphael's evolving relationship while fleshing out the world of angels and archangels and vampires, an often brutal and cruelly pragmatic world that allows to go unpunished often hideous executions of beings that transgress (or don't, as the case - and their master's whims - may be), while the laughter and innocence of children is held in highest regard. It's an unusual yet intriguing dichotomy. 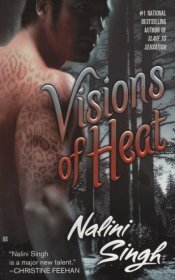 As to Elena and Raphael... their relationship is at the core of this particular book and the characters are evolving into a more three dimensional and symbiotic partnership that is both deeply moving emotionally and - on a strictly personal note - phenomenal to experience. 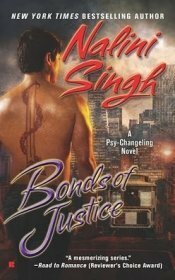 I commend Singh on giving her readers an unflinching reality that elucidates the strengths and weaknesses of both characters while shining a sometimes harsh light on the dangers and potential crises that arise when two such disparate...people?...beings?...start forging a bond of love and respect that can thrive not just for a lifetime, but potentially millennia. 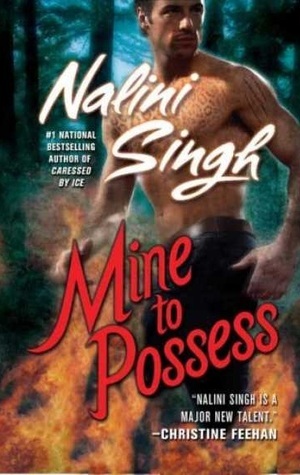 She hasn't wrapped up such a momentous task between the covers of this book, as is often the case in paranormal romance series', nor should she have. And the fact she didn't not only satisfies me as a reader, but it gives me hope for a series that can stay fresh long into its run. Suffice it to say, Archangel's Kiss is my favorite read of 2010, and while the year is yet young (as of the date of original review, 2/2010), it'll take a lot to topple it from this particular pinnacle. 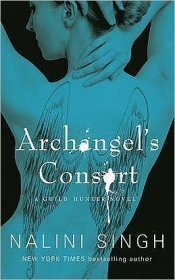 *Update: As of 6/29/2010, Archangel's Kiss is still one of my two favorite reads of the year.